Nextbit is known for their unique smartphone called the “Robin”. It offers a new approach to cloud storage working seamlessly with an Android smartphone. The Nextbit Robin is an upper-midrange device with a 5.2 inch 1080p screen, Snapdragon 808CPU, 3GB of RAM, a 13MP rear-facing camera, 5MP front camera, USB Type-C charger port, NFC, a finger print scanner, and finally are the front facing stereo speakers and 2,680mAh battery. The handset is able to store and download your data and apps depending on how often they are used, shuffling your stuff around to accommodate to how you use your apps. The company recently hosted a Periscope live stream and a Facebook live stream to announce the beta of its web interface for storing and browsing your personal photos. Though, the company seemed to accidentally place a red device among a pile of other Nextbit Robin devices. 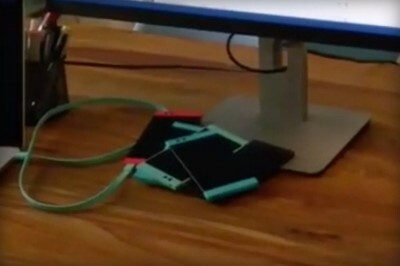 The tweet below later revealed that the company did this on purpose to tease a new red version of the Nextbit Robin. It officially confirms that a red version of its Robin device surely is on the way. What do you all think of the Nextbit Robin? Do you like that it archives your stuff and adapts your content to how frequently you use it? Or would you rather just have a device with 128GB of local storage?